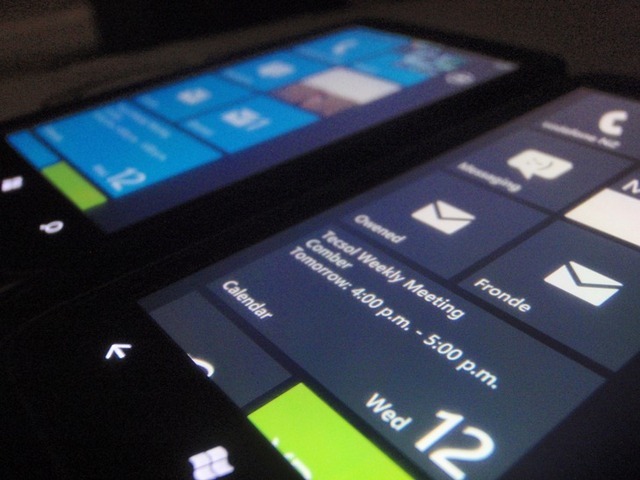 Over at the ever intriguing XDA forums, user xboxmod has figured out a way to edit the registries on HTC WP7 phones, which have allowed a number of hacks and tweaks. It allows you to send custom XML files to the phone, and all sorts of wonderful things are now possible. This has lead to a number of cool tweaks, the very least of which is the ability to change the colors of WP7’s themes, as detailed in this tutorial at NeoWin, which is discussed in greater detail in this thread. At this stage it’s very hacky, but give it a little while, and I’m sure someone will create a pretty frontend to simplify the process. It’s for HTC phones only right now. Maybe a future update will provide a color wheel. I’d certainly like to venture into some different colors.